It has left sewer operators, the police and the Armed Forces baffled. 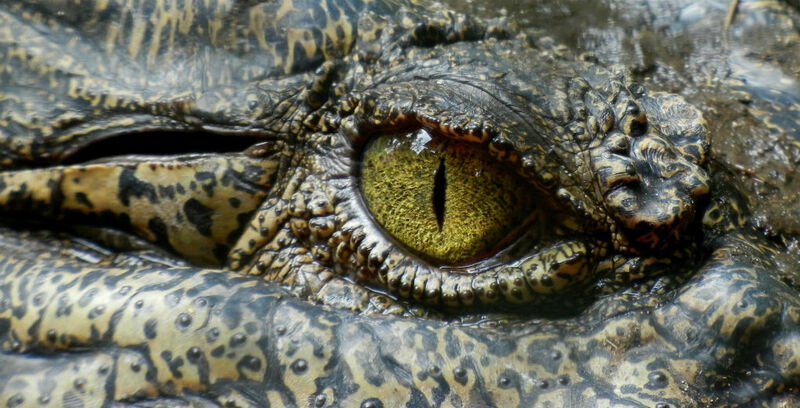 Long considered impossible, nobody could understand where they had come from as sightings of alligators in the UK have been few and far between. Aside from a self-confessed hoax from an Irish sea captain named Wendy and a spirited account from a Norfolk-based gentleman who, it transpired, also claimed two counts of alien abduction in the late 80s, the simple fact remained that alligators had not, and never could, live in the UK wilderness. Yet on Friday, tireless sewer workers working to remove one of the UK’s largest ever Fatbergs (a congealed mass of non-biodegradable matter) got more than they bargained for when it revealed a snarling congregation of irritable alligators. In a strange mix of awe, flabbergast, shock and horror, the team instantly assumed their presence was down to a cruel prank, that was until they noticed the snap of their heavy jaws and some ominous blinking. In a moment of panic, one alligator chomped on a sewer worker’s equipment, causing damage in the region of £20,000. The pursuing frenzy led the congregation to split. One alligator, codenamed Wally due to what appeared to be a red and white shirt wrapped around its tail, was promptly captured and airlifted to a local rescue centre. However, the airlift straps were unable to hold down the nearly 400kg beast who, falling approximately 30 metres from the helicopter, was seen scurrying off into the nearby village of Crockston. Another feisty gator was seen one mile from the vicinity, approaching several ramblers and appearing to ask for directions to the beach, yet unsurprisingly frightened ramblers refused to offer directions and made a swift exit. The remaining alligators tussled with sewer workers and local police before the Armed Forces were called in. After many hours of late-night fighting, the last sighting of the trio saw them scramble into nearby woodland. Several senior residents voiced concerns regarding the resident wildlife, but they were placated when they learned that alligators are allergic to rabbits, deer and water-based frogs.